Basic Cycles Cavity shader tutorial. This walk-through is thorough and detailed in its explanation and only assumes only basic knowledge of interface manipulation. 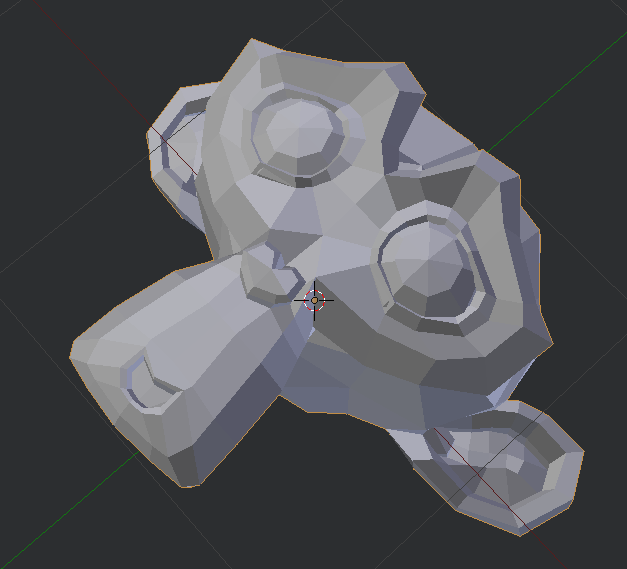 Firstly you need to insure that your mesh is high-poly enough because we will be using Vertex Colors. 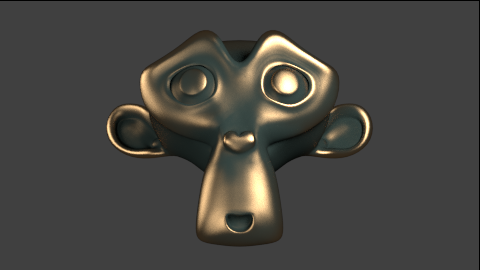 The monkey mesh shown about is NOT high-poly enough and will show streaking in the final result if not subdivided. 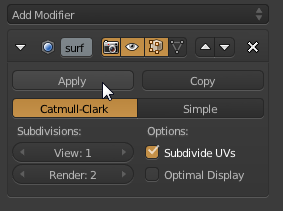 Add a sub-div modifier and apply it if you think it's needed. Hop on over to the Vertex Painting mode. 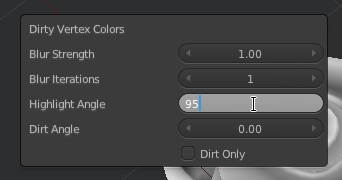 In the Paint menu in the footer, select "Dirt Vertex Colors." 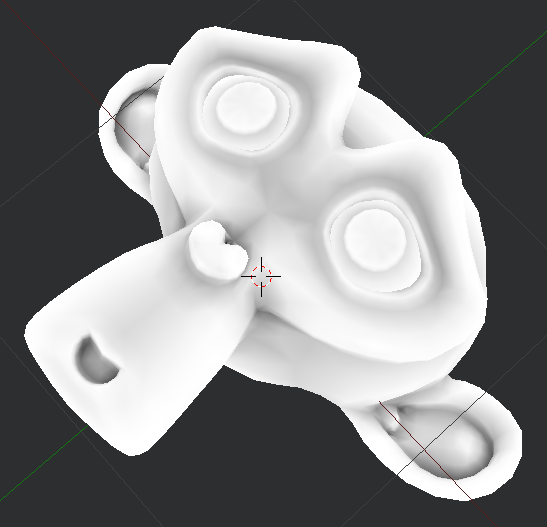 Enter a smaller value for the Highlight Angle field to make the exposed areas stay white, and the cavities become darker. To clarify, you need to rebake, and change that setting for each time to repeat the process. Simply pressing F6 several times won't change anything. 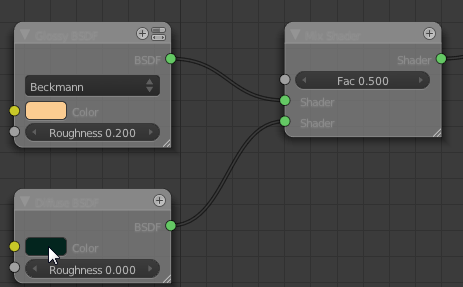 Keep in mind that once we are finished with this shader, Pure White will only be our one shader while Pure Black will be only the secondary shader. 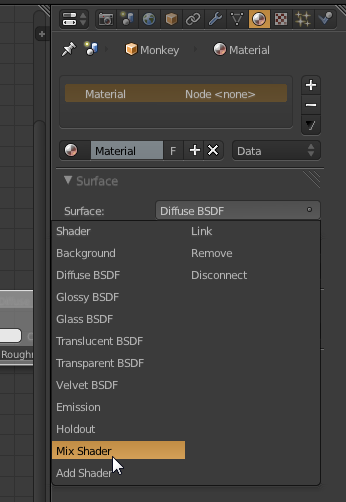 Now split a new node window making sure that you are seeing material nodes. 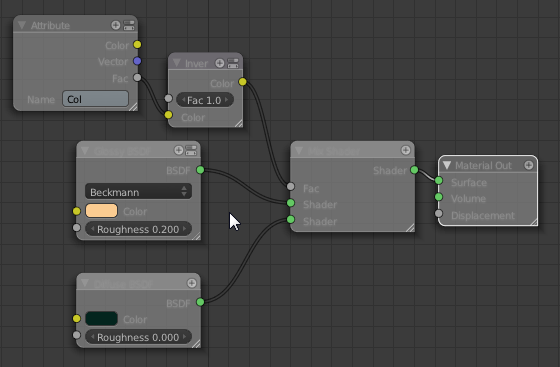 Change the shader colors to suit your needs. 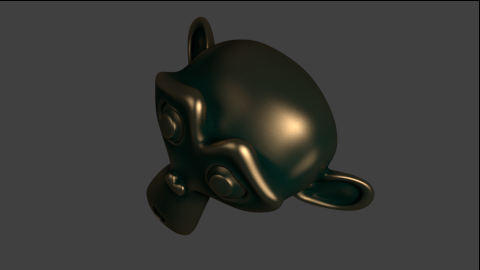 Here I set the Base glossy color to a brassy color, and the cavity shader to a bronze patina color (with exaggerated saturation). 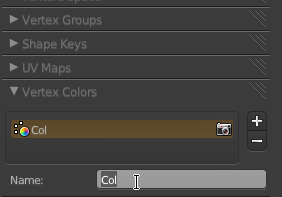 Copy the Vertex Color name. This is what everything should now look like. 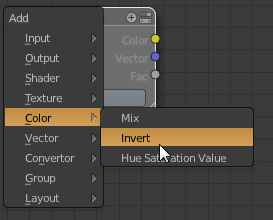 Notice the attribute's output is plugged into the Col value of the invert. By default it'll go into the Factor value which is something totally different. There several things you could do differently. 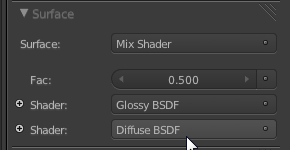 For example, you might have used different settings at the AO bake stage. 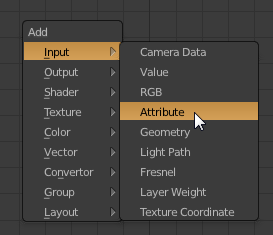 You might have tweaked the baked vertex colors manually with the paint brush getting 'custom' results. 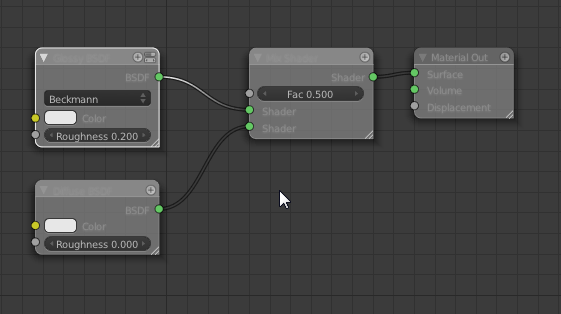 The shader is as basic as you can get it. 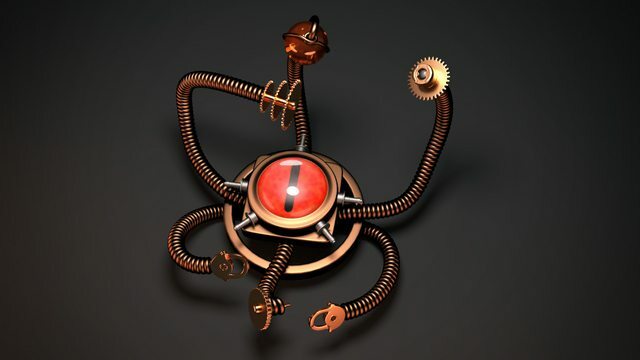 You could modify this to your heart's content to get exactly the results you want.